I wrote a semi-formal post about The End of Email on ChicagoNow. This is gonna be a more down to earth follow up post. I was a relatively early adopter of email. Having gotten free access to a unix based account in college, I loved the ability to send a message to a friend in another city without having to find a stamp, an envelope and their snail mail address. And getting a response the same day instead of a week later was very addictive. The thing I really appreciated though was the fact that I didn't have to hand write a letter. Since my handwriting and even my printing is atrocious – top Egyptologists can’t decipher some of it – I have used a computer to write letters to my friends since word processors became more prevalent. I thought it was cool because I could not only edit and re-write a letter more efficiently than with a typewriter, but I could also save a copy so I knew what I wrote them when they finally wrote back and referred to some forgotten comment I made in the previous letter. Unfortunately not all my friends jumped on the email bandwagon even after it had been around for decades beyond the AOL form. Some just would forward jokes. Others just wouldn't email back at all, not even to acknowledge that they got your last message. Chalk it up to a combination of some people were busier than me, or didn't have the ADD thing I have or didn't sit in front of a computer most of the time. Some people didn't discover email until they got a work account and didn't like mixing work life and personal life. I couldn't understand what was so hard about hitting the reply key and saying "got your email, I'm still alive, still working at my mind numbing job which doesn't afford me much time to write emails all day." It took me a while to realize that these people just weren't built that way. They didn't hate email, they just weren't designed to stay in touch. In the physical letter era, they liked getting mail but didn't didn't like the obligation of having to return the favor hanging over their head. Even though e-mail made the process easier, the resistance to effort was still there. If there were a technology that would take the thoughts from their head, put it in a note and send it instantly and effortlessly, they still wouldn't do it. These days I don't get very many personal emails. 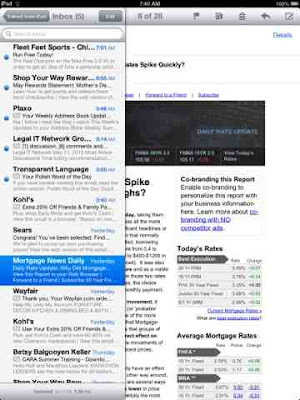 Most of my emails are retailer mailings, newsletters, blog subscriptions and the like. 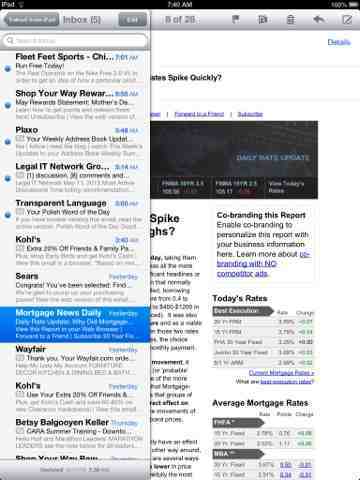 Most people use FB-mail for email which I absolutely abhor because it is so user unfriendly. What you gain in speed, you sacrifice in functionality. Texting has replaced email for the most part. I have some friends who insist on only using text messages and I just give up when something needs to be communicated beyond the 140 character limit. Ironically these same people have smart phones that get their email too.